This is a guest article by Wendy Cook. It’s cold, the middle of winter. On some mornings the ground is white, puddles are frozen with patterns of angular lines and leaves have a covering of tiny icicles. On other days it feels as if the wind is coming straight off the Southern Ocean, but in the bush, the hakeas have opened their curly white flowers. On the roadside, the first clematis blooms have appeared with long pale green petals and a tuft of stamens in the centre of each flower. The tree violets have branches laden with lime-green buds, waiting until it is time to open their tiny, creamy-yellow, bell-shaped flowers and release their perfume. By the creek, the silver wattles are preparing. Their grey branches end in white twigs with feathery grey-green leaves and stalks of tiny yellow balls; not open yet, but they will be soon. For me, wattle flowers are a sign that spring is coming. Living close to the Brisbane Ranges, there are plenty of wattle species to be seen flowering here at this time of year. Some of the species found in the Ranges are widespread around Victoria, whilst a couple are less common in other areas of the state. One wattle already beginning to flower is the golden wattle (Acacia pycnantha). With its bright gold clusters against green leaves, it is Australia’s floral emblem. However, wattle leaves and flowers aren’t always what they seem. The feathery leaves of trees such as the silver and black wattles are true leaves. Young wattle seedlings have small feathery leaves, but soon begin to grow very different looking leaves. These later leaves are not truly leaves. They are flattened stems called phyllodes. They can be shaped like gum leaves, as in golden wattle, or be more sickle-shaped, round, triangular, needle-like or thorns. They still fulfil a leaf’s purpose of making food from sunlight, but they are tougher, allowing wattles to live in arid places. Having very small phyllodes or just thorns means the plant loses less water, but it also makes less food, so it will grow slowly. As well as phyllodes, some wattles have thorns to deter browsing animals, or contain chemicals which taste bitter. Wattle leaves and phyllodes have glands which secrete sugary compounds to attract ants. The ants protect the wattle from other insects, some ringbarking branches of neighbouring trees to stop them competing with their home tree. Most wattles are bushes or trees. One of our more unusual locals is the thin-leaf wattle (Acacia aculeatissima). It grows as a mat of tough stalks and short needle leaves, rarely reaching more than a few centimetres high. When it flowers in spring, it looks like someone has sprinkled a handful of tiny yellow pom-poms on the ground. The flowers of wattles are also not quite what they seem. Each round yellow ball is made up of many tiny flowers. The fluff that we see is the stamens, tipped with anthers laden with pollen. The petals are so small that we don’t notice them. Some wattles have their flowers arranged in a cylindrical spike and their colours vary from pale creamy yellow to almost orange. The flowers are strongly scented, but do not produce nectar. Instead, insects eat some pollen, become covered in more, and spread it to other flowers. Birds chasing the insects may also act as pollinators. Wattle seeds with tough outer coats grow in pods. The pods split down the side to release the seeds, but may remain, brown and curly, on the plant long after they are empty. Wattles can grow in poor soils and are often among the first plants to grow in a disturbed area. They are assisted by bacteria called Rhizobium which invade their roots. The infection causes a lump or nodule on the root, in which the bacteria live. The bacteria can take nitrogen, which is necessary for plant growth, from pockets of air in the soil. The wattle uses the nitrogen and in return, provides the bacteria with sugars to make energy. In the Brisbane Ranges, we have over 15 species of wattle, flowering at different times of the year. The latest is Mitchell’s wattle, a small bush displaying pale yellow flowers in the heat of summer. For now, while it’s still cold, you can go outside and enjoy the wattles and other flowers announcing the beginning of spring. Banner image courtesy of Owen Cook. This is a guest article by Priya Mohandoss. Wattle week is an opportunity for us to celebrate and reflect on all things wattle. While this striking native plant, with its gleam of green and gold, fittingly represents Australia as our national floral emblem, it is the wattleseed, in ground and extract form, that is more familiar to those in the world of Australian cuisine. Although there is a plethora of acacia shrubs and trees spread throughout Australia, most species contain toxic compounds too potent for human intake. However, there are still a number of them that can be used in our diet. Among these species are elegant wattle (Acacia victoriae, also known as prickly acacia), coastal wattle (A. sophorae), wirilda (A. retinodes), dogwood (A. coriacea), colony wattle (A. murrayana) and mulga (A. aneura). Elegant wattle is the most popular derivative that is currently being grown, and is considered the benchmark for commercial wattleseed in the food industry. All species of wattle, whether edible or not, have pods with a hardened outer coating that hang from the branches of the plant. The length of each pod can vary, but on average they are approximately 7.5cm long and appear in shades of brown or yellow. Each is comprised of 10-12 granules of wattleseed that are about 2-5mm in diameter. These granules can be sourced in either raw or ripened form. Furthermore, whether still dangling or left unopened on the ground, the pods can last for more than two decades and so can survive climatic conditions such as drought or heavy rainfall. It is only the severity of fire that causes them to open, allowing the wattleseeds to whirl into the air for further propagation once rainfall has swept past the area. For thousands of years, wattleseed, found in abundance in the arid regions of Australia, has been proclaimed a primary ingredient in traditional food preparation for some Indigenous groups. While the process of extracting wattleseed from the pods of the acacia branches was an arduous task, those that had to provide meals for others would collect, clean and mill the wattleseed until it formed flour. Once this had been achieved, the powdery substance would be combined with water to make dough. The dough was then formed into a bun-like shape and baked in the amber coals of the fire to make damper or seed cakes. However, in its raw and green form, wattleseed could also be conveniently carried and eaten as a snack. Wattleseed, being high in sustenance and with a low glycemic index due to the unsaturated fat-rich content found in the aril (the element that joins the seed to the pod), and its high amounts of protein and carbohydrates, is highly valued as a food source. It is versatile enough for both sweet and savoury dishes. In its roasted ground form, it can be used as a rub for fish and meat, such as in wattleseed crusted kangaroo fillets or combined with other spices to make blends of dukkah. As an extract, it can be used instead of other essences, such as vanilla, to add flavour into ice creams or cakes for that distinct nutty aroma. Wattleseed tiramisu and wattleseed chocolate cookies are some tasty examples. 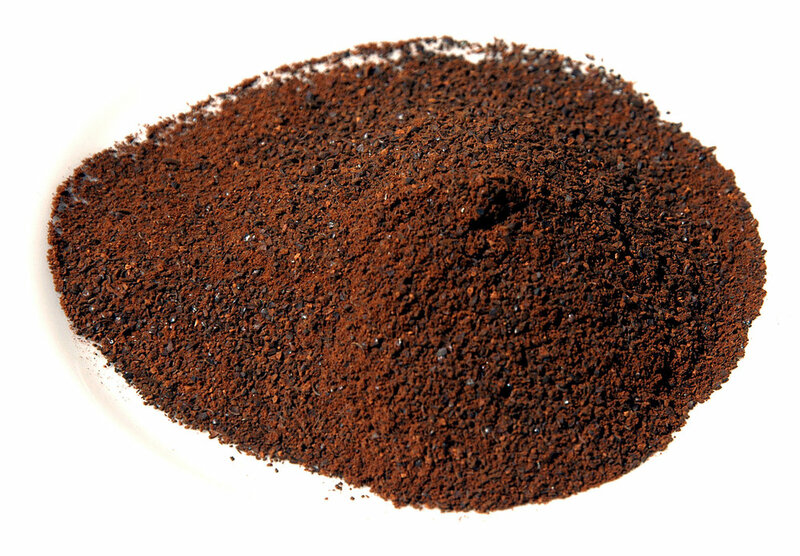 It has also been hailed as a caffeine-free alternative due to its intense mocha-like and hazelnut undertones, yet without having the bitterness that crushed coffee beans can sometimes produce. It can therefore be used to create wattlecinos. Despite this, wattleseed is still seen in the market as a specialty condiment. It can therefore be hard to find and is sold at a somewhat expensive price. However, with so much to offer, there is a need for wattleseed to pave its way into more of our dishes and see more regular use from professional chefs and amateurs alike. Priya Mohandoss is a Masters of Media and Communications student at Monash University. She currently reports for the Royal Society of Victoria and writes a column called “Environment Matters” for the Kinglake Ranges community news magazine, Mountain Monthly. She is an avid explorer of all aspects of nature. With their sprays of golden blossoms and their unique foliage, wattles are arguably the most recognisable plants in Australia. Wattle species can be found in most ecosystems around the country, one of which is our national floral emblem - you may have noticed the golden wattle (Acacia pycnantha) on Australia’s Coat of Arms. Wattles belong to the genus Acacia, the largest genus of vascular plants in Australia. Australia is home to some 1,350 species of wattle, with around 28 of these occurring naturally in Victoria, including silver wattle (Acacia dealbata), blackwood (Acacia melanoxylon), and prickly moses (Acacia verticillata). Wattles are diverse in their growth habit, and possess fascinating foliage and flowers. While the vast majority of species form shrubs and small trees, some creep and sprawl across the ground and others can grow to heights of 30 metres. Silver wattles retain their bipinnate leaves throughout their lives. One of the more interesting features of this genus is their strange foliage. No matter the species, wattle saplings all start out with ‘bipinnate’ leaves. Botanically, this means that their leaves are divided twice: once into pinnae, and then again into pinnules (also known as leaflets). Some species of wattle, such as the silver wattle, retain this leaf form throughout their lives. Strangely, most species of Acacia transition from this bipinnate leaf form and develop ‘phyllodes’ as they age. Phyllodes are not true leaves, and are actually flattened leaf stalks (petioles). These phyllodes are the narrow leaf-like structures you see on many adult wattles, including blackwood trees. Some species, such as prickly moses, have evolved needle- or spine-like phyllodes, which help minimise water loss by reducing the surface area of the leaf. This blackwood leaf is not a leaf at all, but actually the stalk of the leaf, or petiole. Wattle flowers are globular clusters of their stamens, with the flower’s petals barely visible. These flowers act as a food source for many bird species, with their nectar attracting several species of honeyeaters, and seeds attracting cockatoos, rosellas and native pigeons. Wattles are as iconic as kangaroos, emus and Vegemite. Today, on the first day of spring, notice the beautiful wattles around you and celebrate their beauty and diversity! Emma Walsh is Secretary for Wild Melbourne and a science graduate who enjoys sharing her love of nature with others. In the past, she has worked as a wildlife presenter, and enjoys teaching children about our native wildlife and its conservation. Her other interests include gardening and bushwalking. Find her on Twitter at @emmalwalsh91.